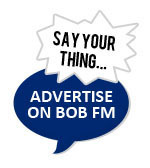 Welwyn Hatfield Council sets sights on 'housing company' to sell homes below market value - BOB fm Home Counties - Music and news for Herts, Beds, Bucks, and beyond. Councillors in Welwyn Hatfield think they've come up with a way of helping local people struggling to own or rent a home privately - by creating a new 'housing company'. It would build new homes on local authority land, which would then be available for sale and rent below market prices. A new report investigates how this could help an estimated 8,000 households in the Borough. 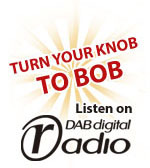 Executive Member for Housing and Communities, Councillor Nick Pace, told BOB fm it's in response to local concerns: "Good quality housing is the foundation for vibrant, healthy communities and we are absolutely committed to doing what we can to help local people own or rent a home that's right for them. "The housing crisis is being felt all over the country, but it's especially acute in our borough where property prices are so high and owning your own home feels out of reach for many. "The new company would help bridge the gap between the good work the council is already doing to deliver new homes for those on lower incomes and what the market is providing." The company is expected to be operational by the summer of 2019.